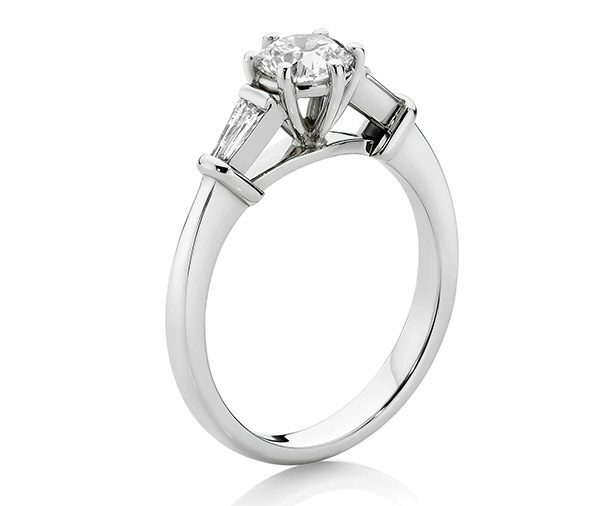 A round brilliant cut diamond is set in a six claw curved wire setting. Tapered baguette cut diamonds are end set on an angle into each shoulder. 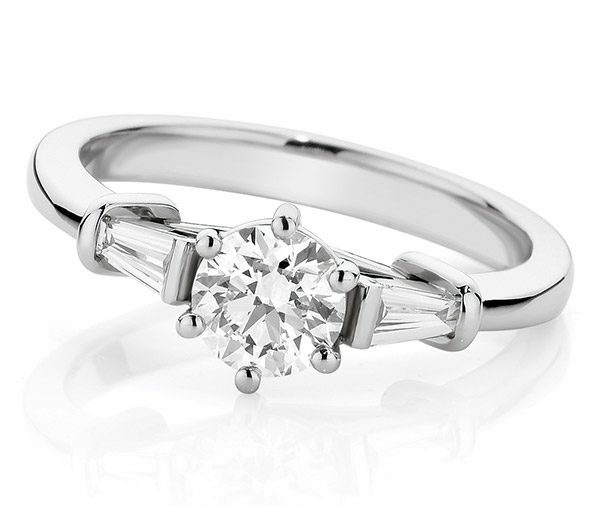 Model image features centre 0.65ct round brilliant cut diamond set in 18ct white gold. Available in platinum, 18ct white, yellow or rose gold or any other precious metal combination.